Provide an introductory-level overview of major emerging technologies impacting the healthcare industry, including underlying theories and technology solutions, as well as anticipated market-facing trends in the deployment of these technologies. Identify emerging technologies in the healthcare space. Review case studies regarding AI, blockchain, IoT, virtual and augmented reality. Discuss PwC’s emerging technology presence. Rajiv Sabbharwarl is a principle in PwC’s Health Industries Advisory practice. He has built and sold multiple products in healthcare and life science space in addition to servicing large government and commercial clients. 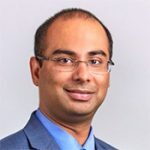 His work has primarily focused on products supporting EMR/EHR, healthcare exchanges, ACO, value-based care, big data and associated analytics, clinical trials, and patient/member-centric solutions. Sidd Bhattacharya is a principle in PwC’s Health Industries Advisory practice. He has built and sold multiple products in the healthcare and life science space in addition to servicing large government and commercial clients. 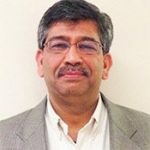 His work has primarily focused on products supporting EMR/EHR, healthcare exchanges, ACO, value-based care, big data and associated analytics, clinical trials, and patient/member-centric solutions. Sidd is a director in PwC’s Pharma & Life Sciences practice based out of Philadelphia. He combines 10+ years of business and technology consulting experience in pharma R&D with AI experience ranging from strategy to large scale product development and implementation. Panelists will discuss the challenges and successes affecting North Carolina healthcare financial and technology revenue cycle professionals. Learn the latest healthcare revenue cycle challenges from financial and technology perspectives. Learn the latest healthcare revenue cycle successes. Learn about potential revenue cycle trends. Christine Sibley Hart is assistant vice president of reimbursement for Atrium Health in Charlotte. She’s also a contributing faculty member for the University of St. Augustine for Health Sciences. A member of the North Carolina HFMA, Christine earned the Certified Healthcare Financial Professional (CHFP) designation in 2008 and the Fellow of the Healthcare Financial Management Association (FHFMA) designation in 2015. She has served in various chapter leadership roles including director of education, director of management practices, and compliance committee chair. She has been co-facilitator of the NCHFMA Healthcare Finance Bootcamp for many years. Christine will assume the role of treasurer for the 2019-2020-chapter year. Garland Goins Jr. is the health system director of revenue and documentation integrity for Duke Health. He’s responsible for the preservation and enhancement of Duke Health’s revenue through oversight and integration of mission-critical departments in clinical trials research billing, charge and revenue integrity and coding quality assurance. Garland has held progressive leadership roles in the revenue cycle for academic medical centers for over 14 years and is an active local and national member of HFMA, AAPC, NAHRI, and AHIMA. 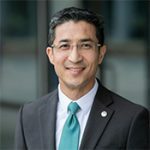 Matthew Castellano is a system executive director for information services at UNC Health Care System, responsible for the enterprise business and revenue cycle application portfolio and the IT Innovation Program. In his 18 years at UNC, Matthew has been in involved in various transformational technology initiatives bringing automation and solutions to the overall revenue cycle and enterprise resource planning operations. Current initiatives include meaningful use of mobile platforms and overall patient and provider engagement activities. 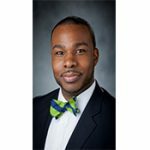 Matthew serves as the 2nd vice president on the North Carolina Healthcare Information & Communications Alliance (NCHICA) board. Roman Perun has 30 years’ experience working in design, deployment, and support of revenue cycle IT solutions. He is currently a director in the Duke Health Technology Solutions group, overseeing a team of IT professionals responsible for providing new clinic acquisition and provider concierge services, deployment and support of the Epic Revenue Cycle suite of applications, and Hyland OnBase, EDCO/Solarity, Extract Systems/LabDE, and eHealth in support of content and document management. 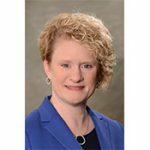 April York is senior director of acute revenue cycle services for Novant Health, an integrated system of physician practices, hospitals, outpatient centers. She’s directly responsible for enhancing the process capability and ensuring the integrity of Novant Health’s acute revenue cycle system net revenue of $3 billion annually. Certified in Epic HB administration, April recently led its successful operational implementation for Novant Health. She has spoken at state, regional and national levels regarding healthcare revenue cycle topics of interest and participates in multiple healthcare industry forums. April currently serves as board president of the North Carolina Chapter of HFMA. 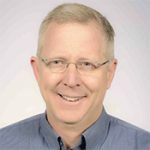 Moderator: Tim Lea, Healthcare Systems Consulting, Inc.
Panelists will discuss the challenges and successes affecting North Carolina healthcare operational leaders. Learn the latest healthcare leadership challenges directly from the leaders themselves. Learn the latest healthcare leadership successes. Learn about potential healthcare leadership trends. 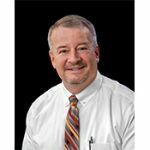 Robert Timothy Lea is founder of Healthcare Systems Consulting, Inc. His extensive political, business, and community service experience includes serving on the North Carolina Courts Commission and the Moore County Board of Commissioners. Tim is a long-standing member of HFMA, having received a Founders Medal of Honor and Muncie Gold Medal Award for Outstanding Service to HFMA. In 2016, he was awarded the prestigious Order of the Long Leaf Pine by Gov. Pat McCrory for exemplary service to the State of North Carolina. 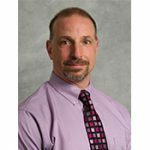 David Ziolkowski, CEO of Person Memorial Hospital, has a strong leadership background in hospital administration that spans both coasts. 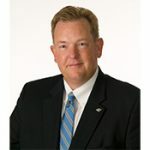 He previously served as COO of Saint Joseph Health–Sonoma County, and was senior director of hospital affiliations and market development for Duke University Health System. In his role at Duke, David was instrumental in the development and successful launch of Duke LifePoint Healthcare, of which Person Memorial Hospital is a part. He earned a master’s degree in healthcare administration from the University of Minnesota in Minneapolis. Panelists will discuss the challenges and successes affecting North Carolina healthcare technology leaders. Learn the latest healthcare technology leadership challenges. Learn the latest healthcare technology leadership successes. Learn about potential healthcare technology leadership trends. 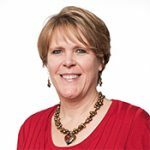 Gail Hinte is a partner at Himformatics, a national healthcare technology consulting firm and leads the Carolina practice. 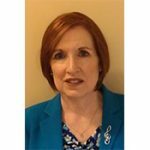 She brings a wealth of experience assisting health care executives with information systems initiatives to support the organization’s strategic business plan. She has led numerous engagements in strategic planning, process redesign, system selection, and implementation, and has provided project management and interim management support. Based in North Carolina, Gail is well versed in statewide initiatives and serves as is an NCHICA board member. 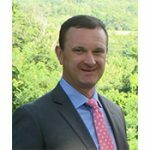 Geoff Lawson is the Vice President, Chief Technology Officer, and Chief Information Security Officer of Cone Health. He is responsible for the creation and maintenance of innovative, secure, and resilient technology platforms. He is also responsible for the delivery of world class customer service to support Cone Health staff in their mission to care for patients. He joined the health system 2012. Lawson earned his master’s in business administration from University of North Carolina, Greensboro. His bachelor’s degree in Engineering is from the Florida Institute of Technology. 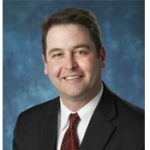 After his military service as a nuclear-trained submarine officer, Lawson has worked in various IT leadership positions across multiple industry verticals, including Healthcare for the most recent 12 years. Lawson is the past President and current board member of the North Carolina Healthcare Information & Communications Alliance, better known as NCHICA. 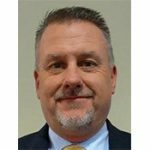 Joe Norris is currently the vice president and CIO for New Hanover Regional Medical Center, overseeing the Information Services division that delivers innovative solutions in support of consumers, physicians, clinicians, and staff. His current focus is transitioning the organization to a digital services strategy with an ever-increasing emphasis on cybersecurity programs and innovation. 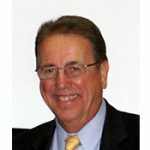 Joe currently serves as a member of the UNC Wilmington Information Systems Advisory Board, and the ECU College of Engineering & Computer Science Council, and Health Informatics Advisory Board. Panelists will discuss the challenges and successes affecting North Carolina healthcare financial leadership professionals. Learn the latest healthcare financial leadership challenges. Learn the latest healthcare financial leadership successes. Learn about potential financial leadership trends. 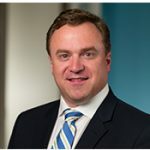 Ken Vance is a senior vice president with Bank of America Merrill Lynch in its Healthcare, Education, and Not-For-Profit (HENFP) Industry Group. He manages the healthcare practice in the Carolinas and coordinates a dedicated healthcare team focusing on four key service areas: revenue cycle solutions; capital markets solutions, institutional investment solutions; and human resource solutions. His primary focus is on not-for-profit acute care hospitals and long-term care, principally continuing care retirement communities and skilled nursing facilities. Ken is a past president of the North Carolina Healthcare Financial Management Association and is presently HFMA Region 4 Executive-Elect. 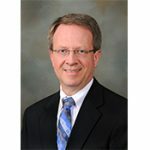 Kevin May, SVP of finance and chief administrative officer of Appalachian Regional Healthcare System, has 35 years’ experience in healthcare finance, operations, and administration. An active member of various community boards, he is also a Fellow of the Healthcare Financial Management Association. 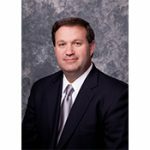 Jeff Wakefield is CFO of Marion General Hospital. His more than 20 years of healthcare financial experience includes capital planning, cost reporting, contract management (negotiations and reimbursement management), revenue cycle, cost accounting, budget, productivity reporting, and physician practice financial management. He specializes in HUD reporting as well as accounting for major construction projects. Next Level Security: Securing Containers, Biomedical Devices & Cloud!